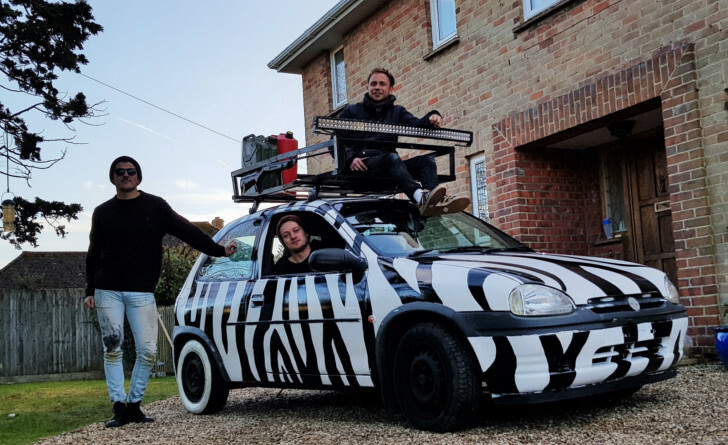 Over 10,000 miles from Prague to Ulan-Ude in Siberia, in a 22 year old Vauxhall Corsa, (with Zebra Stripes) sounds like something out of a nightmare to most people but apparently not to Chris and Elliot who are members of our delivery and install team. In July the two of them, a friend and their ‘trusty’ Corsa are signed up to take part in The Mongol Rally in support of Cystic Fibrosis Trust under the team name ‘Three Wise Men’. The Rally has no official route, it has a start – Prague, it has an end – Ulan-Ude , as far as the middle bit goes, well that’s entirely up to each individual team. If you think you know a shortcut via Timbuktu then knock yourself out. As far as the rules for the rally go, well they’re pretty simple. If you want to know more about the boys adventures then head on over to their Facebook page, even better if you’re able to sponsor them then head on over to their Virgin Money Giving page. Here’s a rough outline of the planned route.